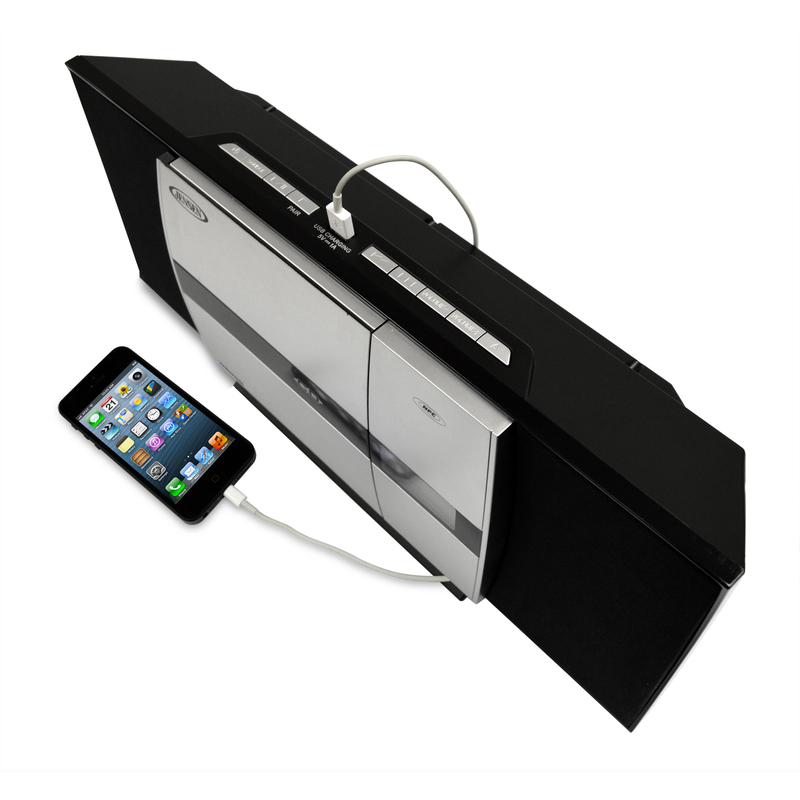 Save valuable counter or shelf space by mounting this music stereo system on the wall! 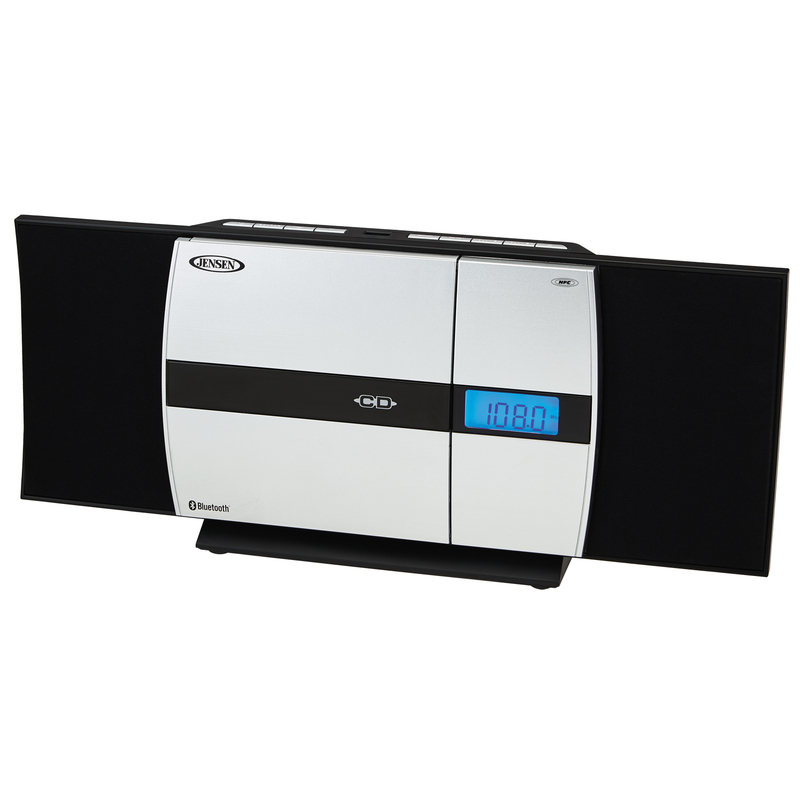 The JENSEN® JBS-225 is a sleek, wall-mountable Bluetooth® CD music system that's perfect for the kitchen, living room, bedroom, or even the garage! It features universal Bluetooth connectivity with NFC (Near Field Communication) for easy pairing and a top mounted USB port with 1 Amp charging. It is perfect for charging your smartphone, iPhone®, or iPod®. 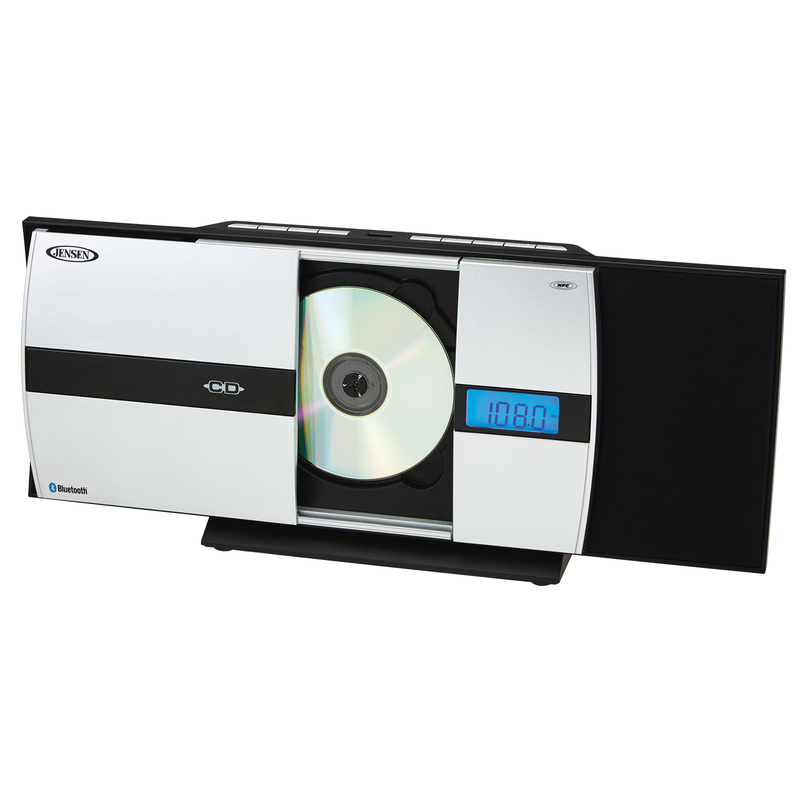 The front-loading CD player features a mechanical door that opens at the press of a button and plays standard store bought CDs, as well as CDs made on your personal computer. The JBS-225 offers a brushed silver design with black accents allowing it to seamlessly integrate with many different styles in the home or office. Along with the CD function is an FM digital tuner with a multi-function backlit LCD display. 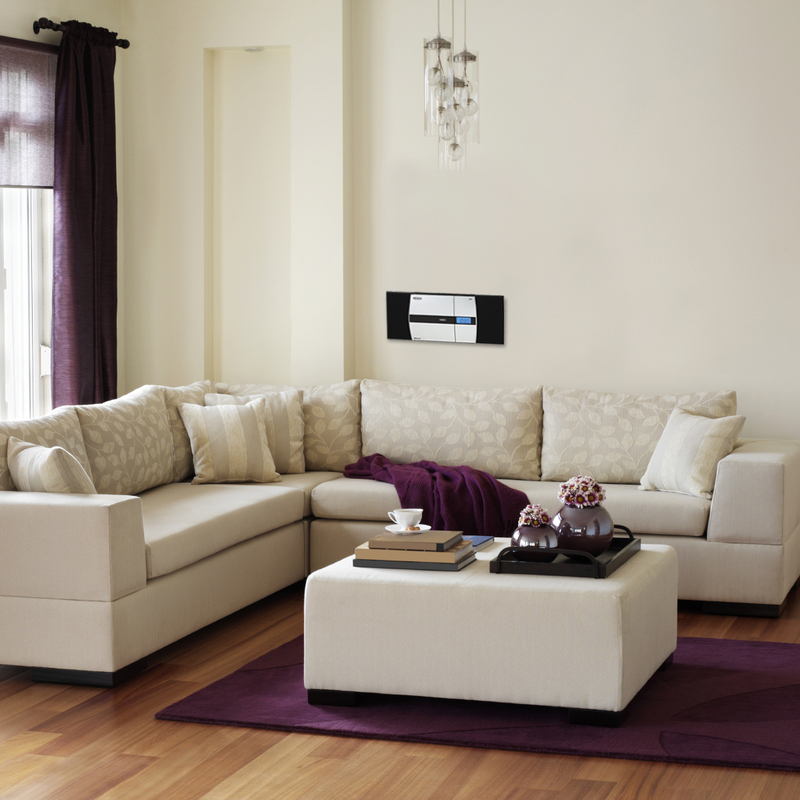 The unit also features an Aux-in jack, remote control, and removable base. Wall mounting instructions and hardware are also included.